After the conference I really needed a brain break. I visited the Horniman Museum and found it delightful despite being filled with screaming children. 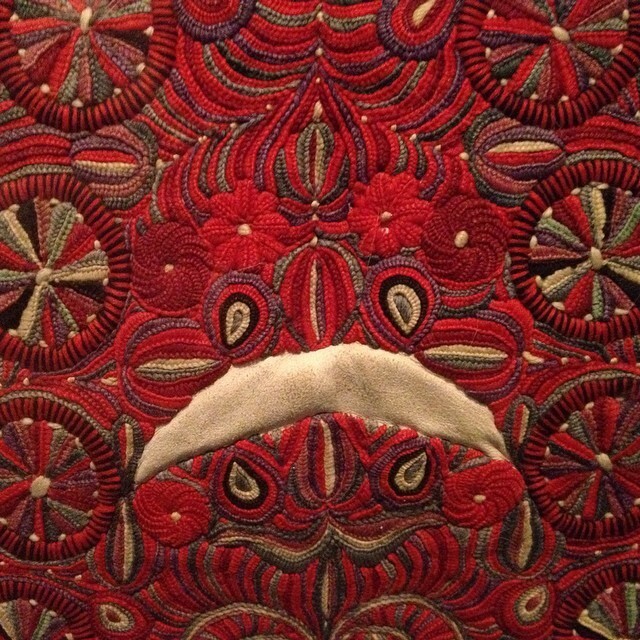 My visit reminded me that museum displays are really a lost art. I loved the natural history gallery, not so much for the content but for the authentically art deco way in which it was displayed: lots of 20’s typefaces, carefully handwritten labels and bold geometrical design. 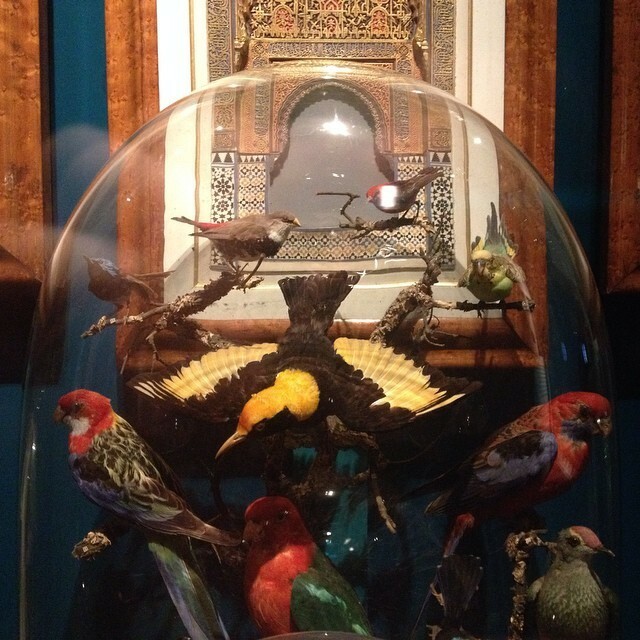 There was a lot of care taken to display the taxidermied animals in really beautifully decorative ways as well. I was so enamoured with the design that I found it really jarring when one of the display cases had labels that had obviously been computer-generated. Along with the old displays they also had some of Polly Morgan’s art taxidermy. 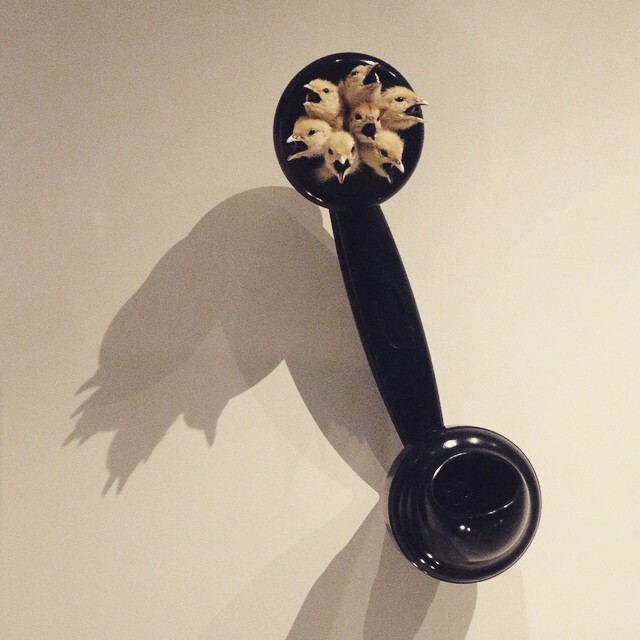 I found it interesting and creative but I feel really ambivalent about the use of taxidermy in non-traditional ways. It’s a weird, irrational set of feelings about death that I have yet to parse. I loved how a bunch of the galleries preserved a slightly random, cluttered Victorian wunderkammer sort of feel to their displays. It really did make you feel like you were walking into someone’s personal collection of interesting stuff. However, there were many times where I felt like I really wanted to know more context about the objects I was looking at, where I felt like I was probably missing some important bit of information that prevented me from really understanding it. 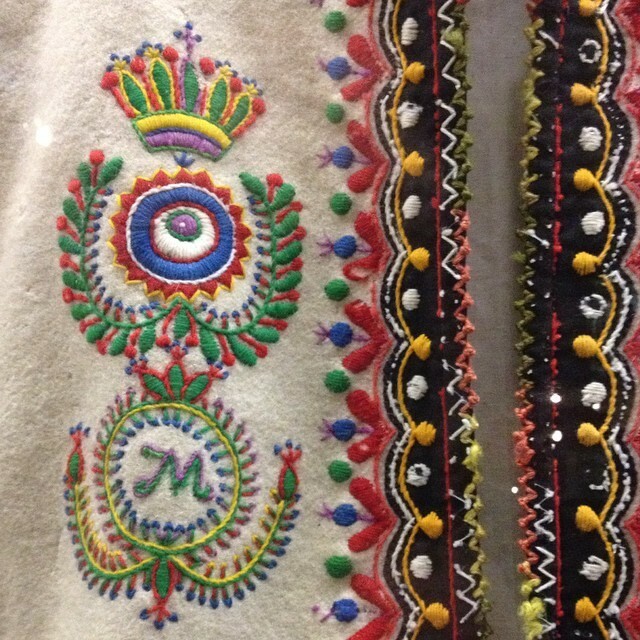 Right now the Horniman has a temporary exhibit on about folk art from Romania, featuring a lot of textiles. I loved the opportunity to really study the patterns and textures, took a lot of pictures and notes. There was also an exhibit of photos of women from Sierra Leone. The photos were taken around 2007 and included a bit of information about the women and where they were in their lives, conveying the resiliency of people living in poor conditions in the aftermath of civil war. I would be very interested in seeing a new set of photos documenting where they all are now and what’s happened in their lives in the time since the original photos were taken. What has been the impact of Ebola on the lives of all of these women, I wonder?